Home Celebrities Entertainment updates Van vicker shares lovely photo of his family as his wife celebrates her birthday. Van vicker shares lovely photo of his family as his wife celebrates her birthday. 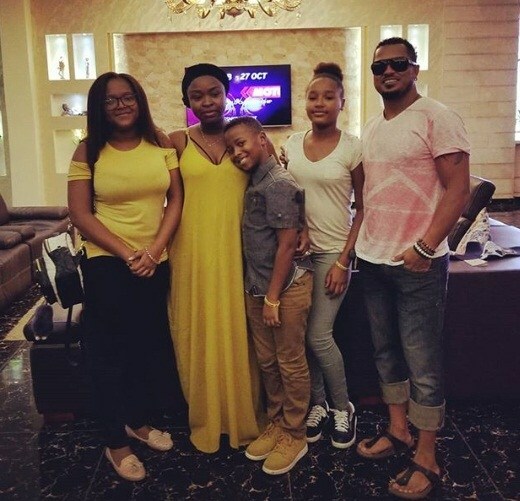 Van Vicker’s wife, Adjoa, celebrated her birthday today and the ghanaian actor took to his IG page to share this lovely family photo, accompanied by a heartwarming birthday message. "Wow. Another year means an addition to your years on Earth. Hip, hip, hip, hooray! You are a year older. But you don’t look it, hahaha. You look younger (women love to hear that) lol. Anyway, on your bday the kids and I present to you a 3-in-1 award. Best mom, Best wife and the Long Life award. You are that vital element we all rely on. Affable, sensitive, passionate, sweet, your shoe is way too big for anyone to fill. No wonder we look and feel the way we do under your watch. God continues to shower is Grace and blessings on your path. Happy birthday baby. We love you”.